Tomorrow is more than just the third off day of the young season for the big league Cardinals. It may have taken longer than expected to find warmer weather this year, but each of the four full-season affiliates will begin heating up with top prospects all over the map. Marco Gonzales gets to see what all the hype is about Kris Bryant first hand in the Memphis debut while local product Nick Petree welcomes another player with some helium in Springfield. Joining the Missouri State alum on the SCards staff is possibly the biggest shocker in recent memory. Andrew Morales made just two starts for the GCL Cardinals after his College World Series run last summer, and he will certainly be one to watch against the Texas League lineups. On the flip side, top pick from last year Luke Weaver is absent from any of the rosters but that information doesn’t have to be a bad thing. He could just be at Extended Spring Training ready to jump in at Palm Beach or possibly Peoria where a couple more surprises were to be found. Trey Nielsen figured to be a lock for the Chiefs’ rotation but instead gets a bump up in competition to the Florida State League. 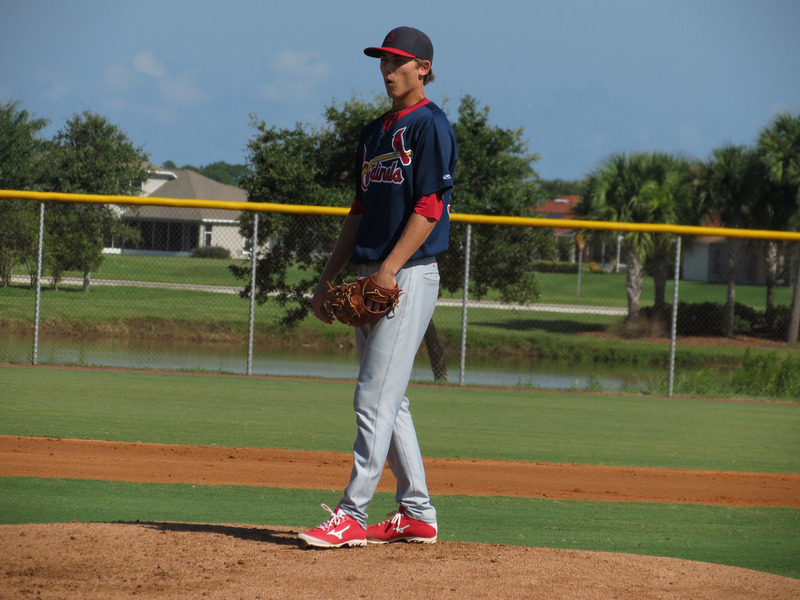 As for the Midwest League staff, young sensation Jack Flaherty gets an Opening Day nod and welcomes the former St. Louis affiliate Quad Cities to the park that will be hosting this year’s All-Star Game. Flaherty isn’t the only news in town for Peoria, however, as reigning organization Player of the Year Magneuris Sierra did receive a promotion past the short-season level. Each of the four clubs has plenty of intrigue for the upcoming campaign, especially as aggressive promotions have been highlighted the past half-decade. Adding a new wrinkle to the mix was the late addition of Gary Brown, who will be joining the Redbirds with hopes of cracking the outfield rotation under the Arch this summer. He also secured the final 40-man roster spot, making it that much more interesting to see how all the moving parts will work out across the calendar. This truly is my favorite time of the year and by this time next week, we will have real minor league stats to hyperventilate over!